Joseph Austin Benwell was a prolific illustrator for various Victorian religious publications, particularly those published by the Religious Tract Society. The nineteenth century was a time when missionaries travelled to all corners of the world, to spread the word of the Gospel and to try and convert so-called ‘heathen’ peoples to Christianity, whether they liked it or not. It was also a time when there was Christian concern that there should be 'appropriate' reading material provided for people at home in Britain. The era therefore saw publication of a variety of religious journals and magazines, many aimed at the general public and some targeting younger readers. With their paternalistic, benevolent and somewhat evangelical missionary quality, these publications can seem rather quaint and 'politically incorrect' when viewed through modern eyes. Such publications and the illustrations they contained are, however, of social and historical importance, as they recorded how many people thought, felt and behaved at the time. 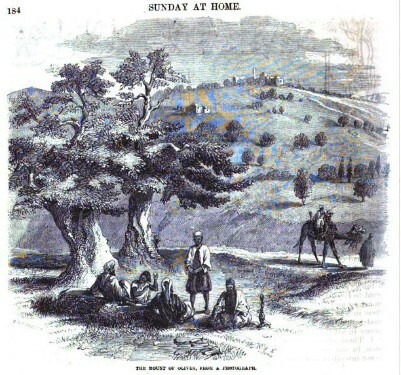 Joseph Austin Benwell, an artist who had lived in 'foreign lands' and specialised in pictures of local Eastern scenes, customs and practices, also of missionaries, was well placed to provide illustrations for such publications. 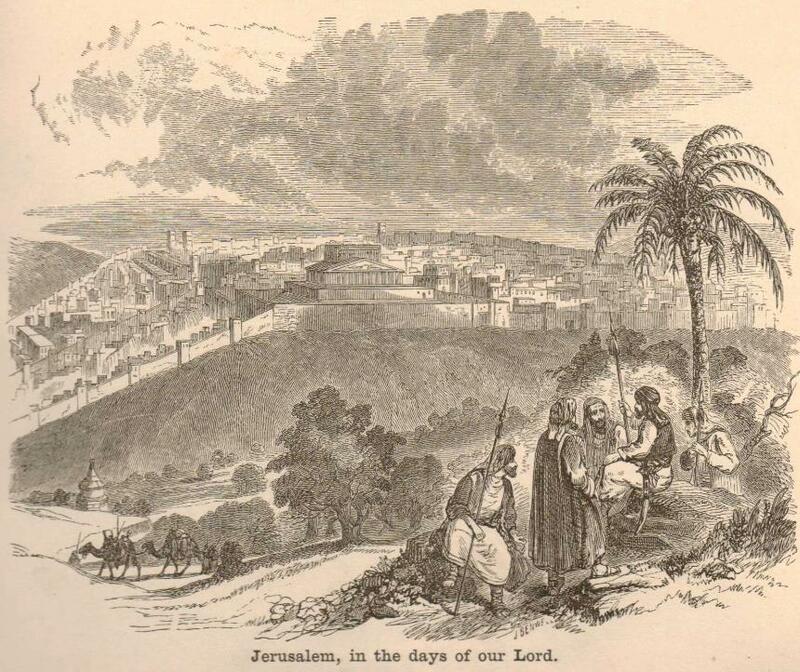 He also illustrated and painted scenes from the Holy Land, mainly of Jerusalem, Palestine and Sinai. ‘The Leisure Hour, A Family Journal of Instruction and Recreation’. 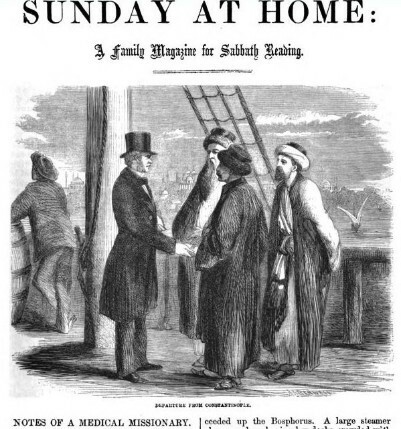 The Leisure Hour was a very successful family weekly, published at a cost of one penny for many years from the 1850s. 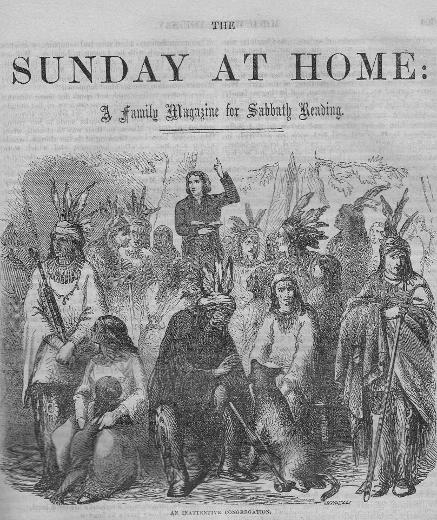 The journal was not as overtly religious in its content as other Religious Tract Society publications, and was printed without the RTS imprint. It was targeted at a very broad range of readership. 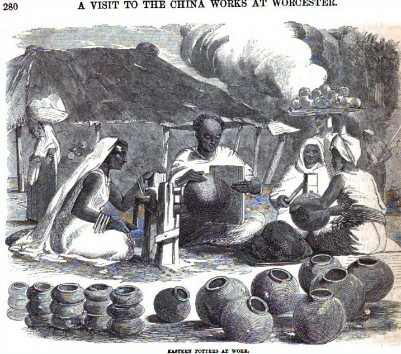 As well as the Indian Nabob series in the 1858 volume (refer British in India), Joseph Austin Benwell illustrated a series in the 1857 volume entitled ‘Tales Illustrative of Chinese Life and Manners’. 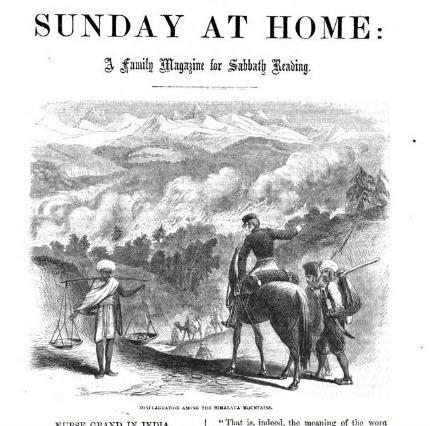 ‘The Sunday at Home’: A Family Magazine for Sabbath Reading’. Founded in 1854, this periodical flourished until the early twentieth century. 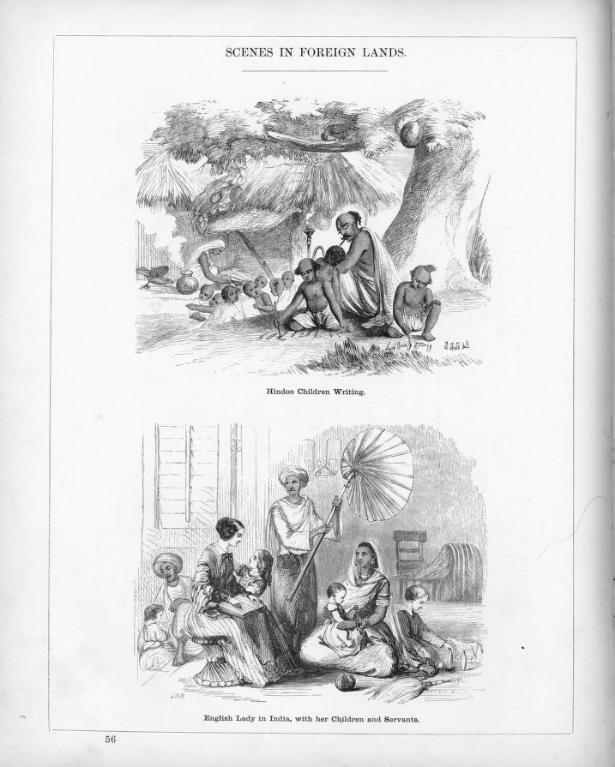 Joseph Austin Benwell provided illustrations for several years from 1856 to 1870 for regular articles and series such as 'Missionary Perils' (1857); 'Nurse Grand In India' (1857); ‘The Apostle to the Maoris’(1857); ‘Light from the East’ (1857, 1858, 1859); ‘Systems and Superstitions of the Chinese’ (1858); ‘The Martyr Church of Madagascar’ (1859); 'True Story of an Irish Boy' (1859); ‘Notes of a Medical Missionary (to the Jews)’ (1861); ‘Leaves from my Portfolio by a Missionary in Bengal' (1862); ‘Indian Experiences in 1857-58’ (Indian Mutiny 1857-58) (1862); ‘The Fountain Kloof: or, Missionary Life in South Africa’ (1863). 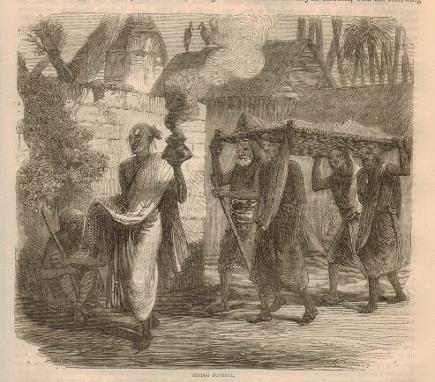 He illustrated a series called ‘Life of Swartz’ (1860), about the life of Christian Frederick Swartz (or Schwarz) (1726-1798), the German Lutheran Protestant who was a missionary in India in the mid to late eighteenth century. 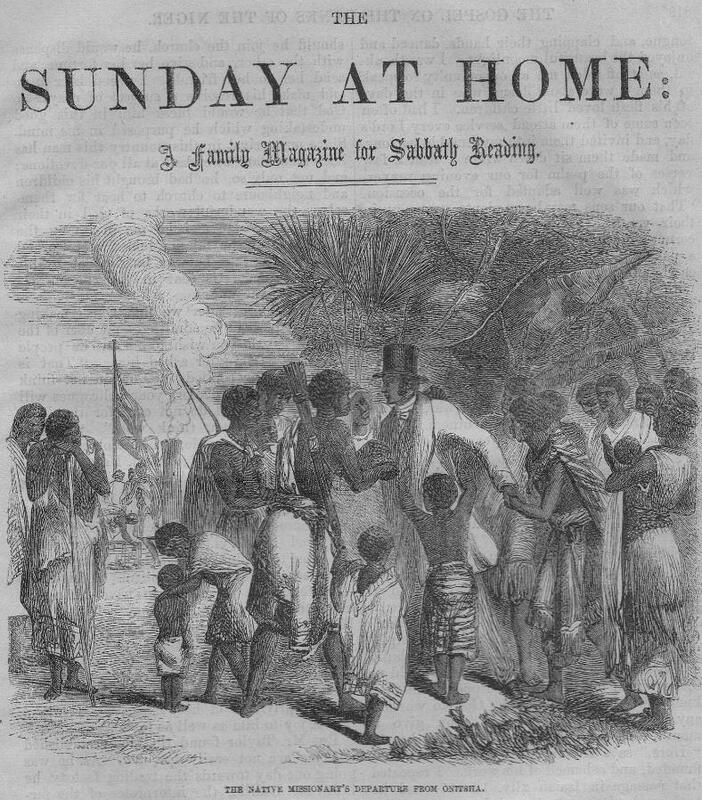 In the 1861 ‘Sunday at Home’ he did some engravings for another series- ‘David Brainerd- Missionary to the Indians’. Brainerd (1718-1747) was an American missionary to native Indians, particularly the Delaware Indians of New Jersey. 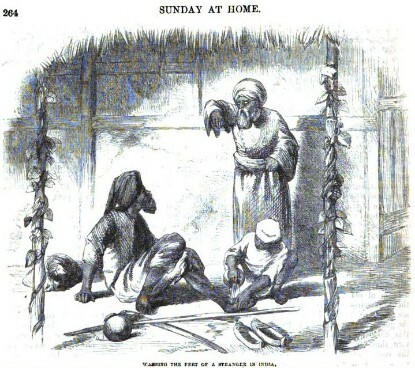 Other missionary series that he illustrated were ‘Dr. 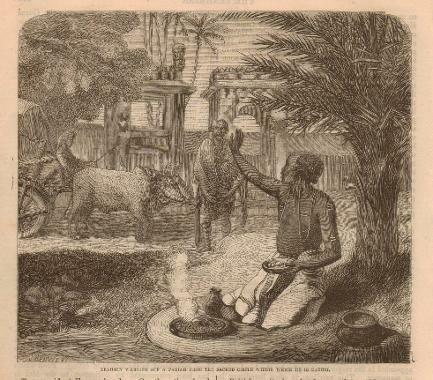 Krapf’s Missionary travels in Eastern Africa’, about German Lutheran Johann Ludwig Krapf (1810-1881) and ‘The Gospel on the banks of the Niger’, both published in 1861. Krapf was exploring and working in Ethiopia (then Abyssinia) at about the same time that the more well-known Dr Livingstone was travelling in southern Africa and Mozambique, and they appeared to have come within about five degrees of each other. 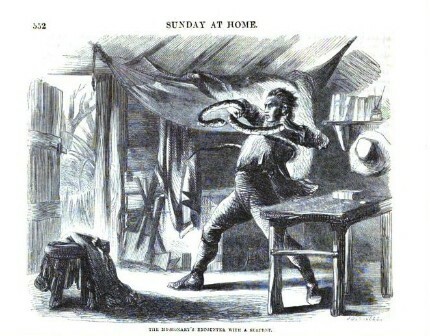 Benwell also illustrated ‘The Apostle of the Maoris’, a short series published in The Sunday at Home in 1857 about Samuel Marsden (1764-1838). Samuel Marsden was described as the first apostle to the Maori race, and is said to have introduced Christianity to New Zealand. 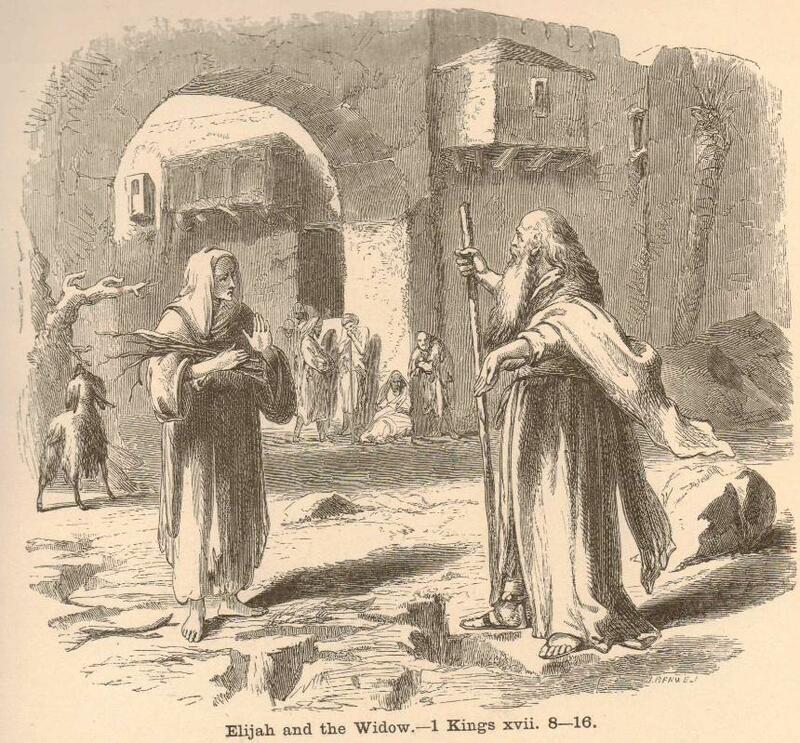 As well as missionary topics he illustrated series with a Biblical theme, for example ‘Studies from the Life of David’ (1860), ‘Ruth’ (1860) and ‘Rainless and Dewless Years' (1860), including scenes from ancient Samaria and the life of Elijah. 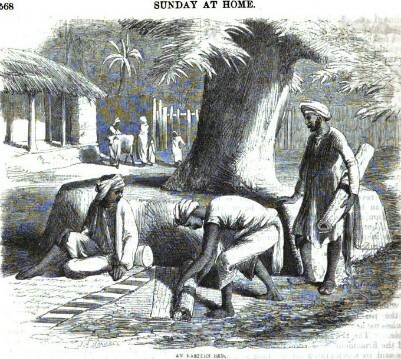 The 1862 edition of 'Sunday at Home' refers to '...an interesting series of 'Indian Illustrations of Scripture', delivered in the form of a lecture by the Rev W M Robertson BA of London, with the aid of 'dissolving views' painted by Mr Benwell, formerly of Calcutta, many of whose Indian scenes have already appeared in The Sunday at Home’. 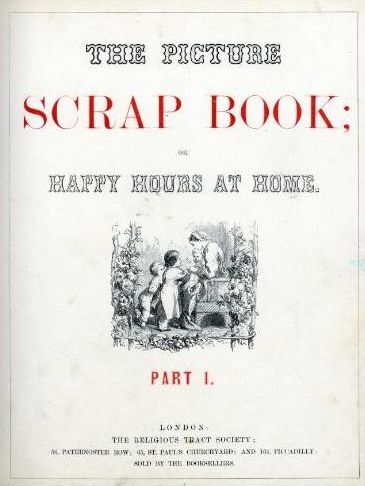 Two Religious Tract Society publications aimed at children were: ‘Picture Scrap Book; Bible Pictures &C' 1864, and ‘The Picture Scrap Book; or Happy Hours at Home’ 1859. 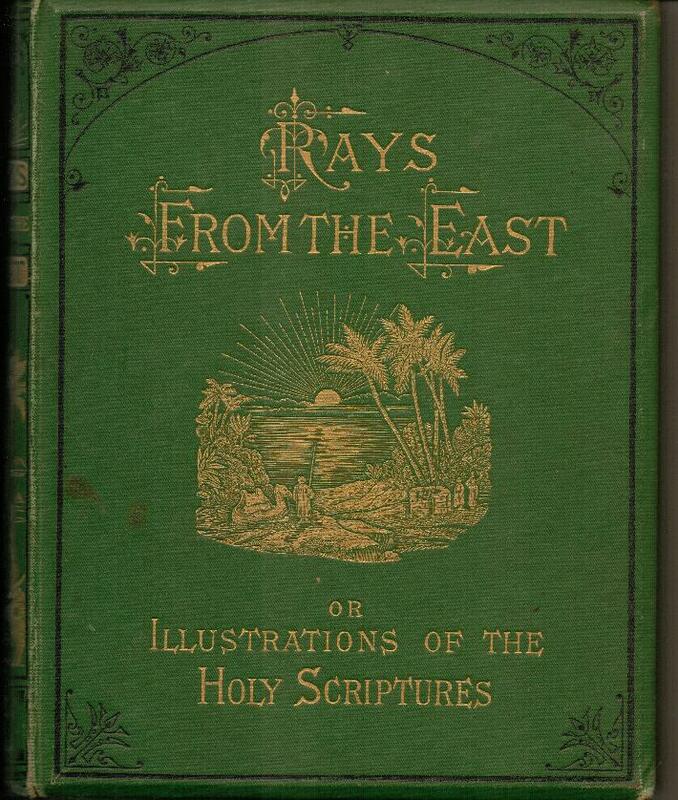 Both books were fully illustrated with scenes of the Holy Land and the East (including sections on ‘Light from the East’ and ‘Scenes in Foreign Lands), many of the illustrations being by Benwell. 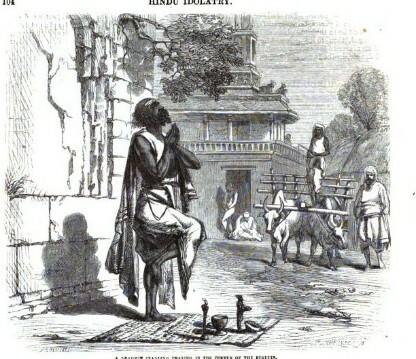 He also provided several illustrations for ‘The Picture Gallery of the Nations’ 187. 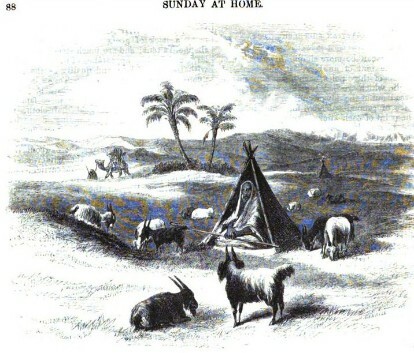 Another Religious Tract Society book illustrated by Benwell was ‘A Home in the Land of Snows and other Sketches of Missionary Life’ (Romance of Modern Missions), 1870 by Miss Cecilia Lucy Brightwell. 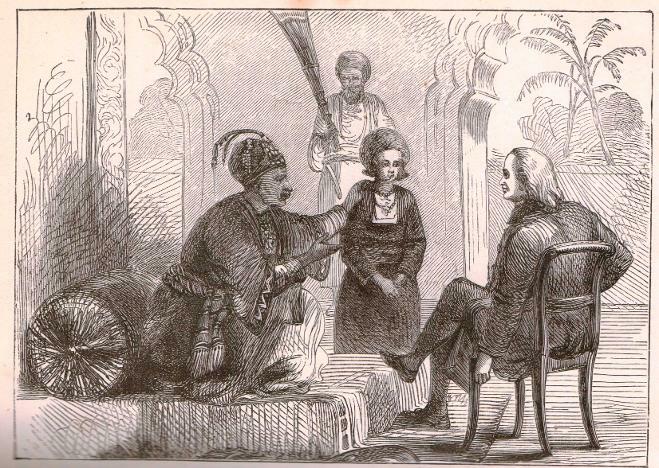 He illustrated 'Nurse Grand in India' from 'Nurse Grand's Reminiscences at Home and Abroad' , 1871, also by Cecilia Lucy Brightwell. He also provided illustrations for ‘Narratives for Youth, Volume 2’ published by the English Monthly Tract Society in the early 1860s. 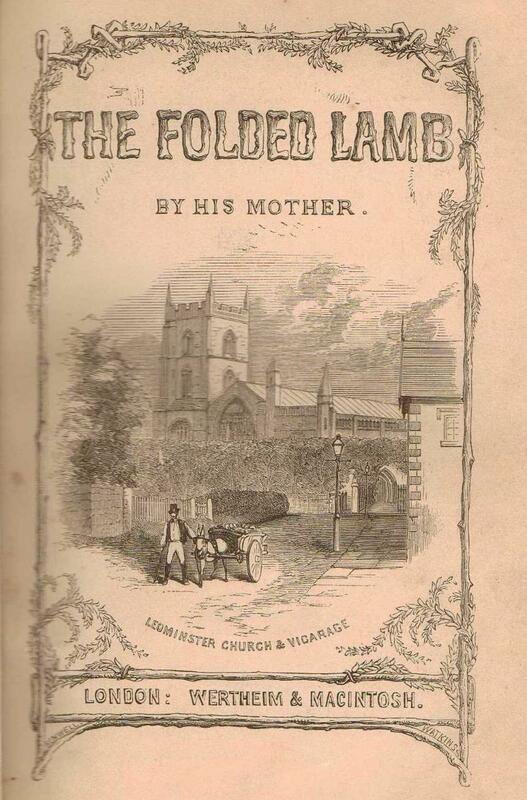 He did the title page (see below), showing Leominster Church and Vicarage, for the book ‘The Folded Lamb; Memorials of an Infant Son’ (1857 edition) by Mrs Ellen M Rogers, wife of Rev. George Albert Rogers, published by Wertheim & Macintosh. Benwell also provided illustrations for other Victorian periodicals, although not necessarily with a religious theme, including: ‘The Cornhill Magazine’ Vol 1 and Vol 2 1860, Publisher: Smith, Elder and Co, 65 Cornhill, London, and ‘The Welcome Guest: a Magazine of Recreative Reading for All’ 1858-1861, Publisher: Houlston and Wright, London. The Cornhill Magazine, a literary journal founded in 1860 and published until 1975, featured stories and articles by many famous and distinguished Victorian writers. For more pictures of India, please also refer to the page 'Scenes from India'. Some examples of Joseph Austin Benwell's work for Victorian religious publications are shown below. 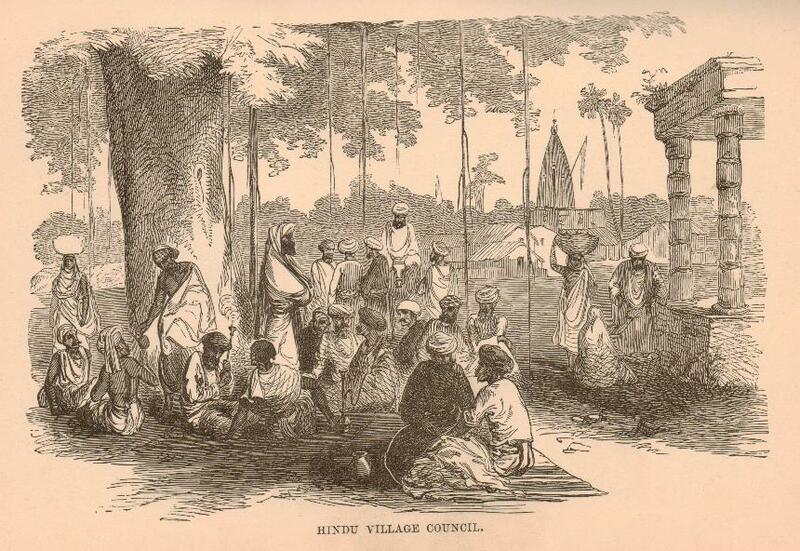 'Hindu Village Council' from 'Indian Gems for the Master's Crown' by Miss Droes of Landour, India, 1892. 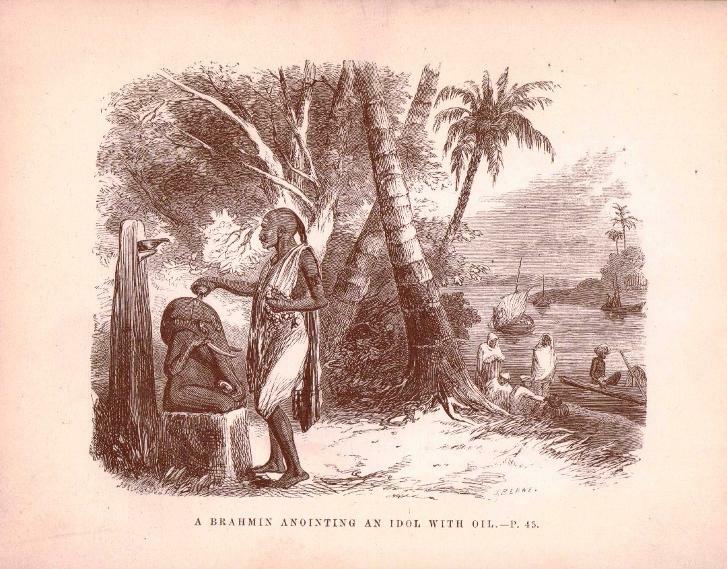 'The Balance' or 'Weighing the Raja of Travancore' from 'Rays from the East' (1871) and 'True Tales about India' (1876) and both published by The Religious Tract Society. 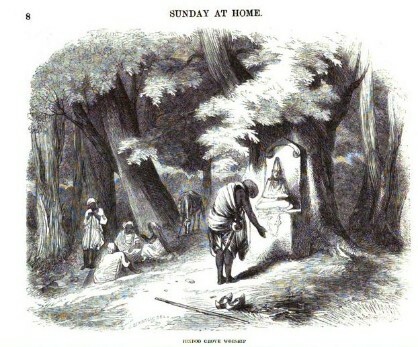 This engraving also appears in 'The Sunday at Home' 1860, as 'Scene described by Sir Thomas Roe in his voyage to India'. 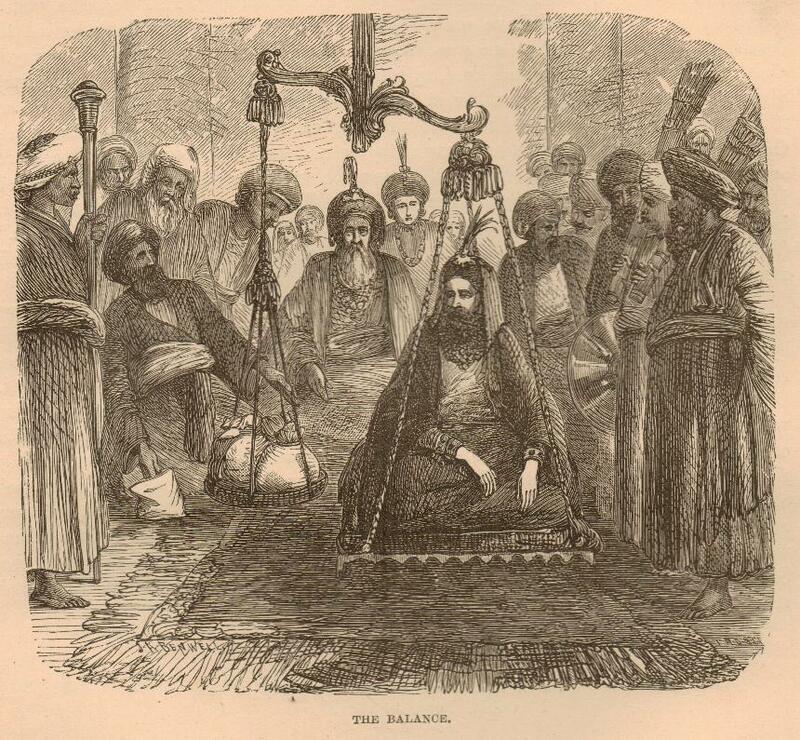 "...whenever a new Raja began to reign, he was expected to have himself weighed. and to give the weight in gold away among the Brahmins who came to assist at the ceremony." 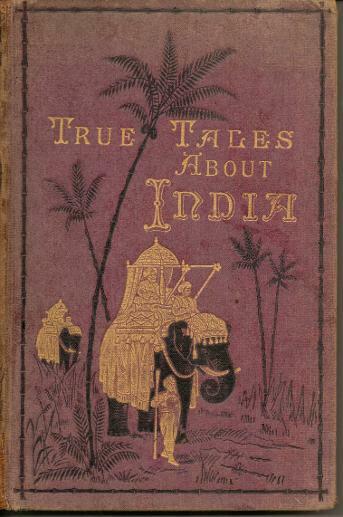 (True Tales about India). 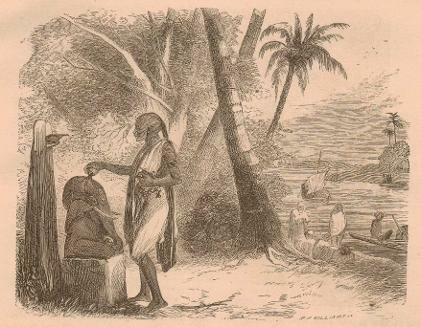 Another description (from Rays from the East)- "...there is a curious illustration in the account of Sir Thomas Roe's voyage to India, about the year 1660. 'The first of September (which was the late Mogul's birthday), he, retaining an ancient yearly custom, was weighed in the presence of his chief grandees in a balance. The ceremony was performed within his house, or tent, in a fair spacious room, whereunto none were admitted but by special leave. The scales in which he was thus weighed were plated with gold, an so the beam, on which they hung with great chains, was made likewise of that most precious metal. 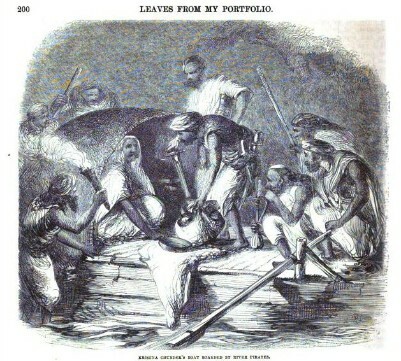 The King, sitting in one of them, was weighed first against silver coin, which immediately after was distributed among the poor: then he was weighed against gold: after that against jewels (as they say); but I observed (being there present with my lord ambassador) that he was weighed against three several things, laid in silken bags on the contrary scale. When I saw him in the balance, I thought on Belshazzar, who was found too light.'" 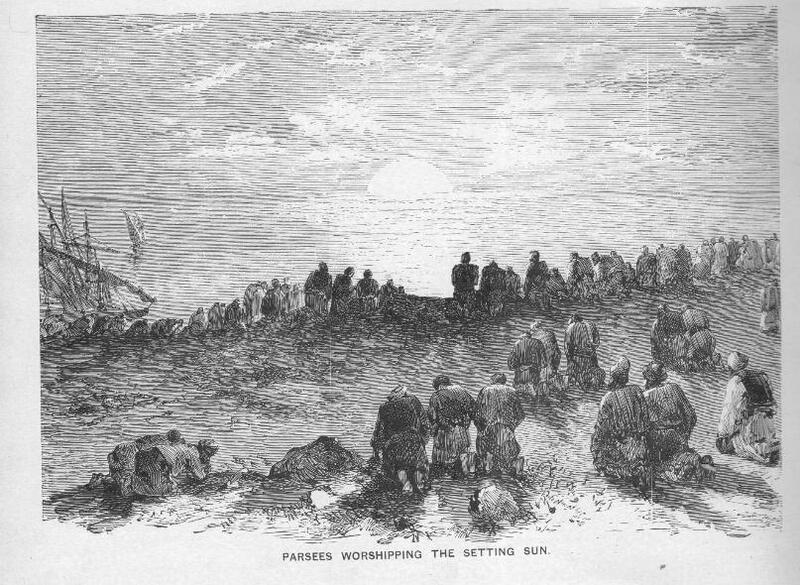 'Parsees worshipping the setting sun' from 'The S.P.G. Picture Book, showing origin, and scenes in the work of the Society for the Propagation of the Gospel in Foreign Parts' 1896. 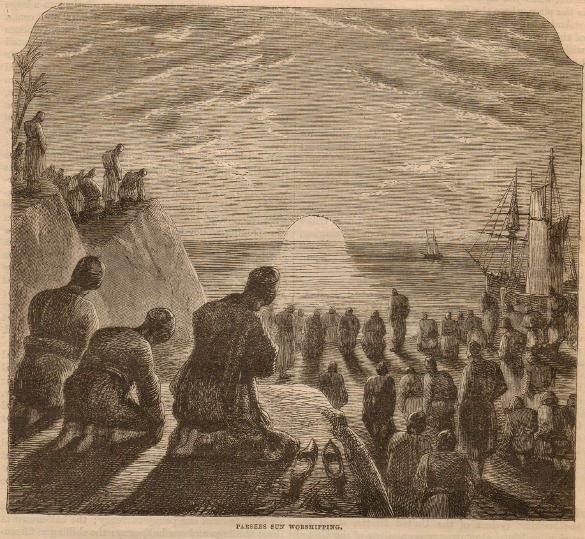 This engraving was originally published in the Illustrated London News on 31 October 1863 as 'Guebers of India worshipping the setting sun', but the artist's signature was left off this later version. Parsees and Guebers are descendants of ancient Persians who follow the Zoroastrian religion, many of whom fled to escape religious persecution. The subject is similar to the 1864 Leisure Hour engraving, also shown above. 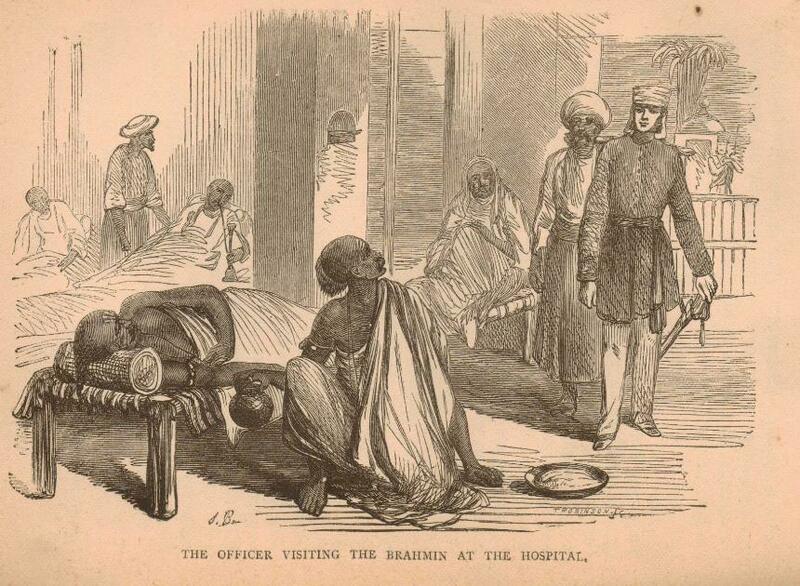 'The Officer visiting the Brahmin at the hospital' from Sunday at Home, 1857, serial 'Nurse Grand in India'. In 1871, the author Miss Cecilia Lucy Brightwell's book 'Nurse Grand's Reminiscences at Home and Abroad' was published by the Religious Tract Society. 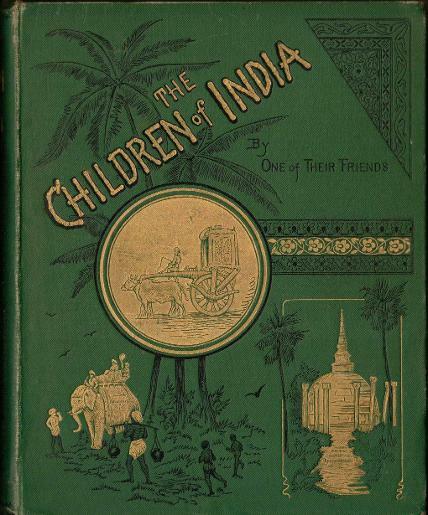 The book included the story of 'Nurse Grand in India'. '"Everything was going well in our market at the camp", Mr Crowther writes......."till this morning a slave trader took it in his head to bring a little girl about six years of age for sale. 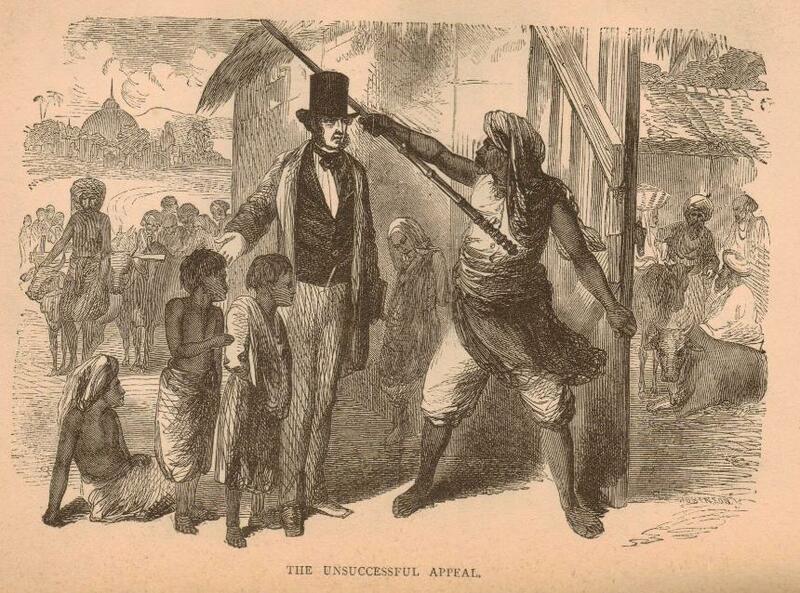 What a contrast there was between the cheerful countenances of the children who accompanied their mothers, assisting to carry their yams and rice to market, and the dejected spirits of this unfortunate slave-child, under the hand of an unfeeling slave-trader. As soon as the news of the fact had reached Dr Baikie, he marched the slave-trader out of the camp with his merchandise in the sight of innocent traders with no ordinary effect. They have heard that the English are averse to the slave-trade; now they have opportunity of proving it to demonstration." 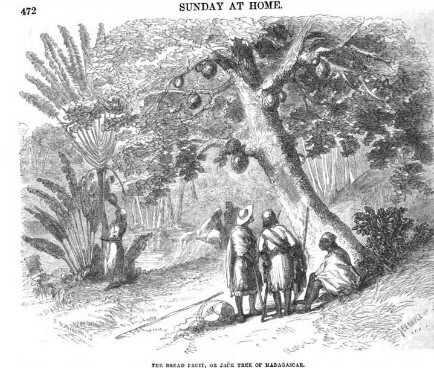 The article in Sunday at Home is based on the British Niger expedition of 1857. Samuel Ajayii Crowther (c1809-1891), born in what is now western Nigeria, was a missionary and the first Anglican Bishop in Nigeria. As a child, he had been captured by Fulani slave raiders in 1821, and was rescued by a British Royal Navy ship; he later converted to Christianity. William Balfour Baikie (1825-1864) was a Scottish explorer, naturalist and philologist. 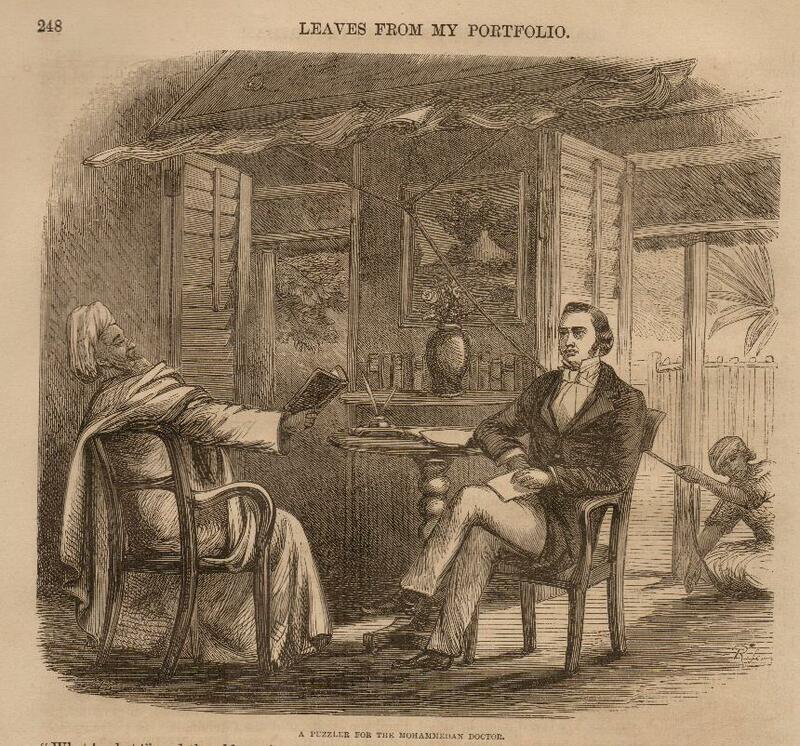 He had the role of British Consul in 1857, and later translated the Psalms into Hausa. 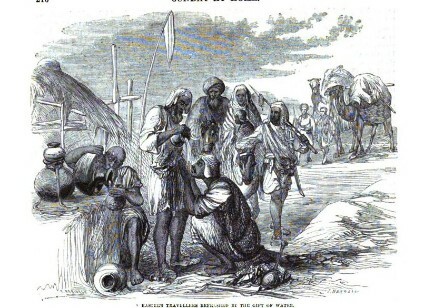 'Serfojee commended to Schwatrz' from 'The Vanguard of the Christian Army' [or, 'Sketches of Missionary Life'] published by the Religious Tract Society, 1882. 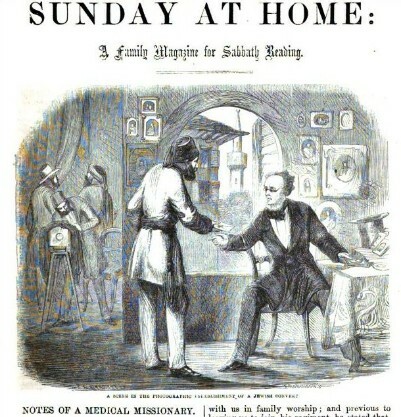 Also appears as ‘The Rajah’s adopted son, Serfojee, introduced to Mr Swartz’, ‘Life of Swartz’ in ‘The Sunday at Home' 1860. The original is signed J A BENWELL DEL lower left, but in the later version the lower part of the engraving is cut off. Del usually indicates the name of the artist, as opposed to the engraver. Del. : delineavit – Latin for he/she/they drew. The name precedes it, usually found on the bottom left side of the plate. The scene illustrated above took place at the Bay of Islands in December 1814, just prior to Marsden conducting the first Christian service on New Zealand soil during Christmas Day 1814. 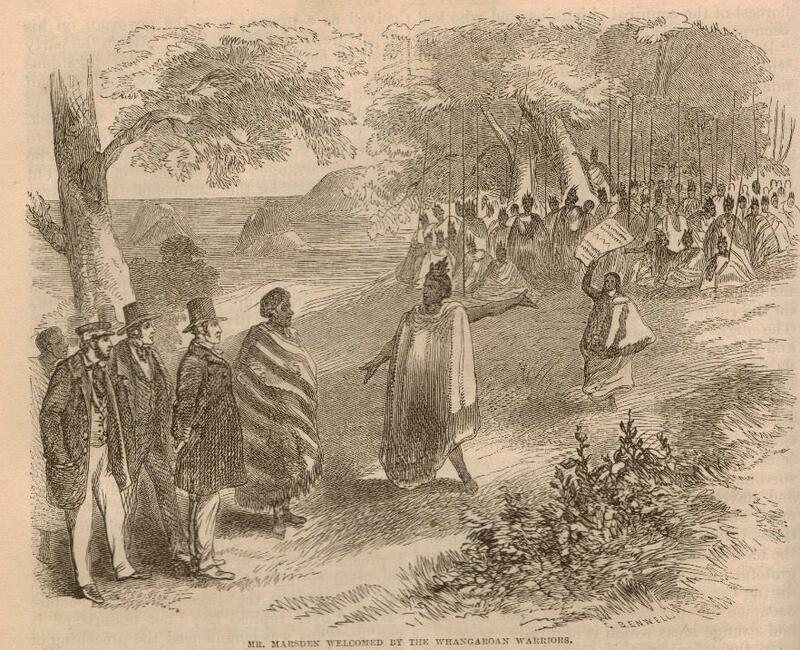 "It is interesting to know that one of the first acts of Mr Marsden was to negotiate peace between the nations of the Bay of Islands and the Whangaroan tribes.......... On reaching the shore, Ruatara boldly went forth to the hostile camp, and after explaining that some white men desired a friendly conference with them, retreated to his own party. An interval of almost breathless suspense succeeded. What was the result to be- peace or war- reconciliation or a deadlier feud? We can well imagine the fervent breathing that in those anxious moments ascended from the trembling hearts of those devoted men. Shortly, a woman was seen advancing from the Whangaroan crowd of warriors, flourishing a red mat round her head, and crying out "Haromai, Haromai," (Come hither, come hither). This was said to be the symbol of pacific intentions, and the visitors approached. ....... The warriors, seizing their spears, brandished them, as if in fury, against one another; yells, shrieks and roars vexed the air; while the frightful gesticulations and horrible contortions of face and limb were suggestive of the writhing of fiends. Yet this terrifying demonstration was their war-dance of welcome! Conversation ensued......"
Samuel Marsden (1765-1838) was an English-born Anglican cleric and a prominent member of the Church Missionary Society, believed to have introduced Christianity to New Zealand.
' 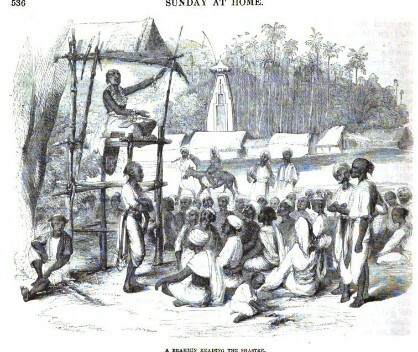 Kiernander before Clive, pleading on behalf of Christian Missions' Sunday at Home 1857 (Nurse Grand in India). This illustration also appeared in 'Nurse Grand's Reminiscences at Home and Abroad' by Miss Brightwell, 1871. John Zachariah Kiernander (1710-1799) established the first Protestant mission in Bengal in 1758 after obtaining the approval of Clive of India (Robert Clive). 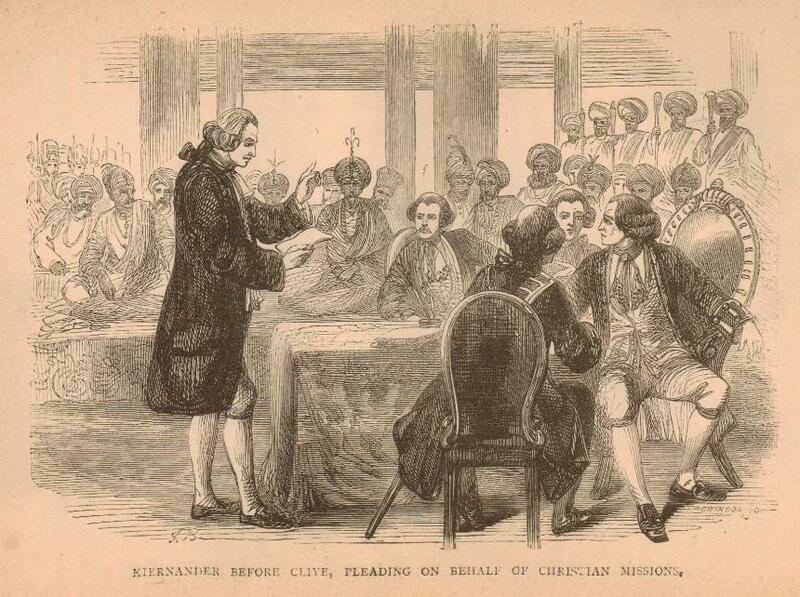 In 1767 Kiernander purchased land and built the Old Mission Church in Calcutta, which was completed in 1770. 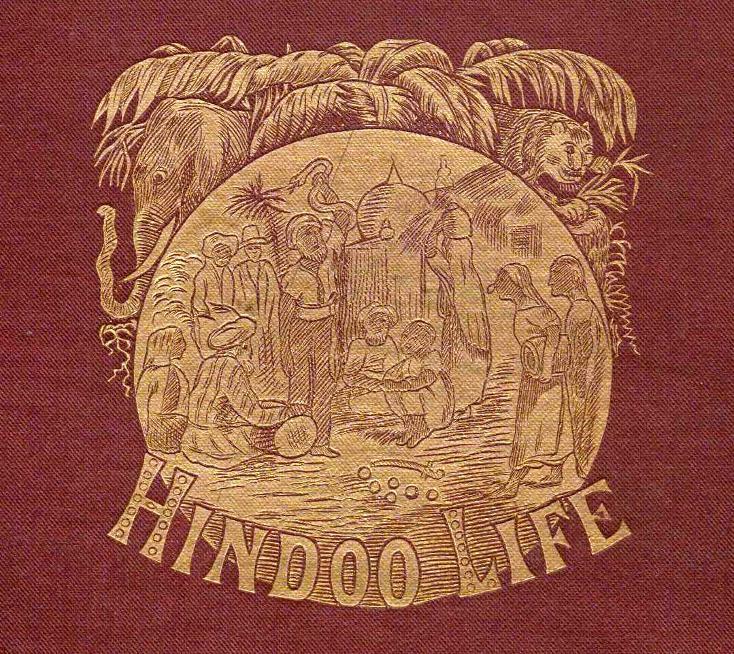 From the front cover of 'Hindoo Life' by Rev Edward Webb, 1866. The book contains several Benwell engravings, but I have no way of knowing who actually drew or engraved this attractive little book cover design, as bright and golden now as it was when first published over 150 years ago. 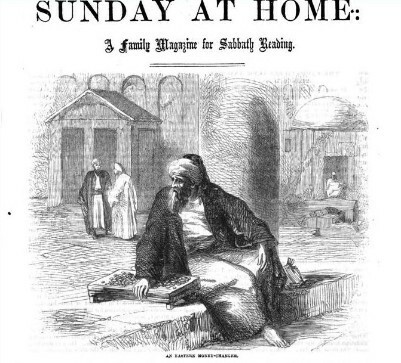 Different Victorian religious publications would sometimes use the same engravings or illustrations. However, they may be copied or re-engraved, with the artist/engraver's signature changed. 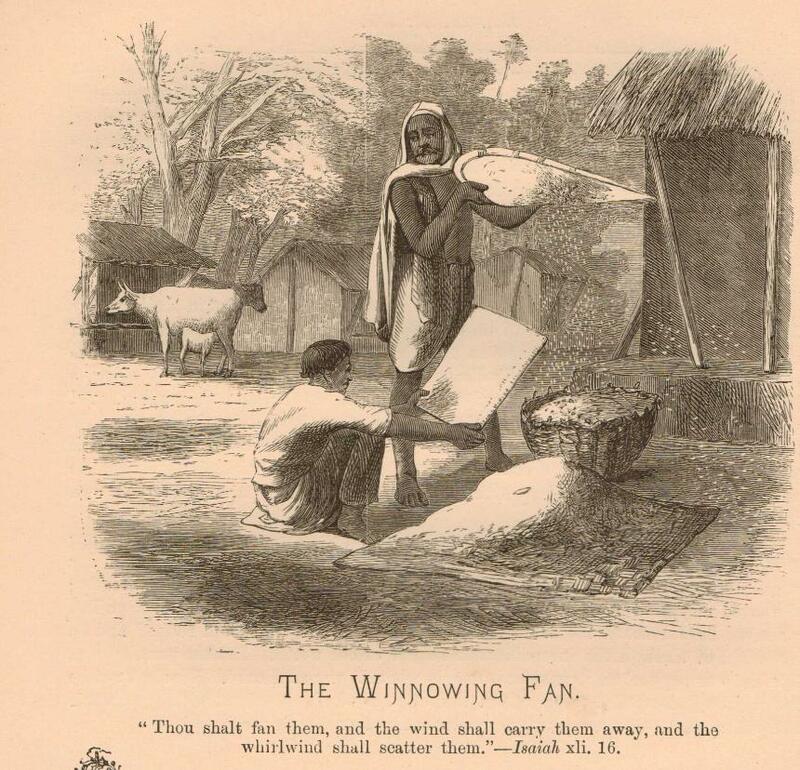 For example, the above illustration appears in 'Hindoo Life' by Rev Edward Webb (Presbyterian Publication Committee Philadelphia 1866). It is signed J BENWELL lower right, and ___BINSON ( T. Robinson) lower left. 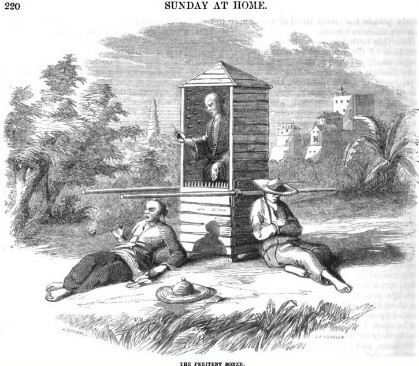 The earliest version I have located appears in the 'Sunday at Home, 1858 (published by the Religious Tract Society in London), shown below left. This, too, is signed by Benwell and T Robinson. 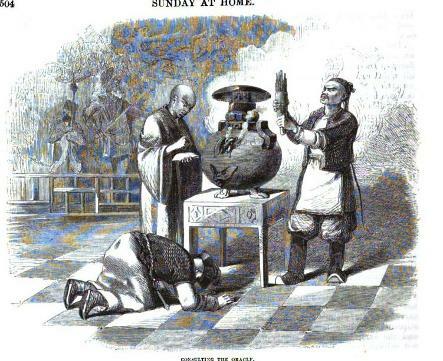 However, the version below right, which appeared in 'The Oriental Picture Gallery' edited by the Rev John Liggins (publ. by Hurd and Houghton, New York in 1866) has neither of these signatures. The name R A Williams Sc appears lower right, indicating the illustration may have been re-engraved or copied. They appear more or less identical. "The typhus fever broke out among our orphans, and the medical man said, unless we removed them instantly from Benares, half of them would die. Our distress was great. We had two tents pitched at a place about seven miles distant, which might serve for a temporary shelter, and removed the sick boys in carts. It being the dry season, we had no fear of rain; but we had not gone far before a terrific tempest came on, and they were all drenched through. Evening was coming on: I looked around, and saw not far off a native inn for pilgrims (a serai), and I went to it to ascertain if they could give us a lodging for the night. The man answered, "This serai was built for holy pilgrims, not for such as you -outcasts and barbarians." I replied that our case was desperate, and unless I could get shelter, half the boys would die. "What is that to me?" he replied; "here you cannot be. If you will die, die; and the sooner such unclean outcasts die, the better."" 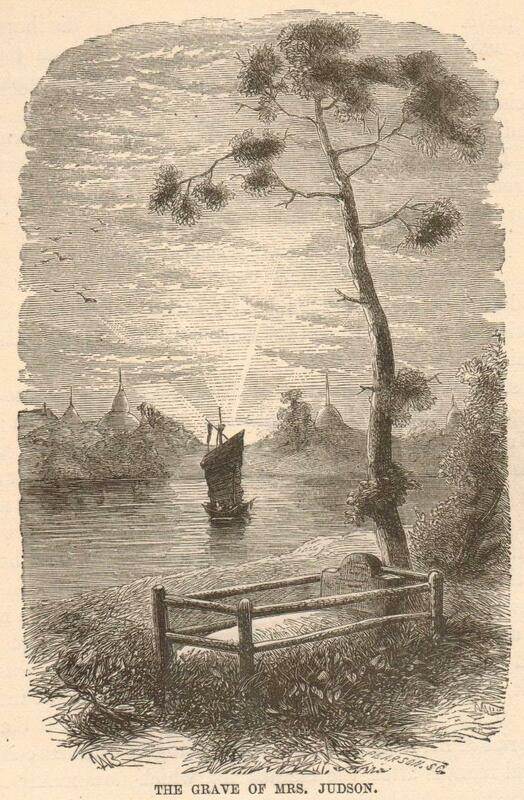 The article and illustration also appeared in 'Graham's Illustrated Magazine' vol 51, July 1857 (Philadelphia, USA). The magazine ceased publication in 1858. Discussing the Injeel (Gospel) and the Koran. "Our engraving represents a money-changer sitting on the steps leading to the court of the mosque of Omar, just as in the gospel history the Jews were wont to sit precincts of that very enclosure." 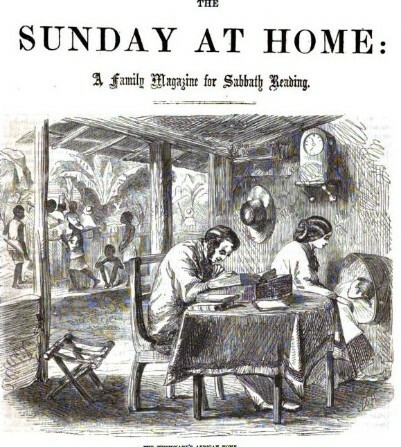 'Notes of a Medical Missionary' was the main feature article in nine consecutive issues of the 'Sunday at Home' published between June and August 1861. The narrative was by John Mason, the author of 'Three Years in Turkey: the Journal of a Medical Mission to the Jews' publ. 1860 by John Snow, 35 Paternoster Row, London. 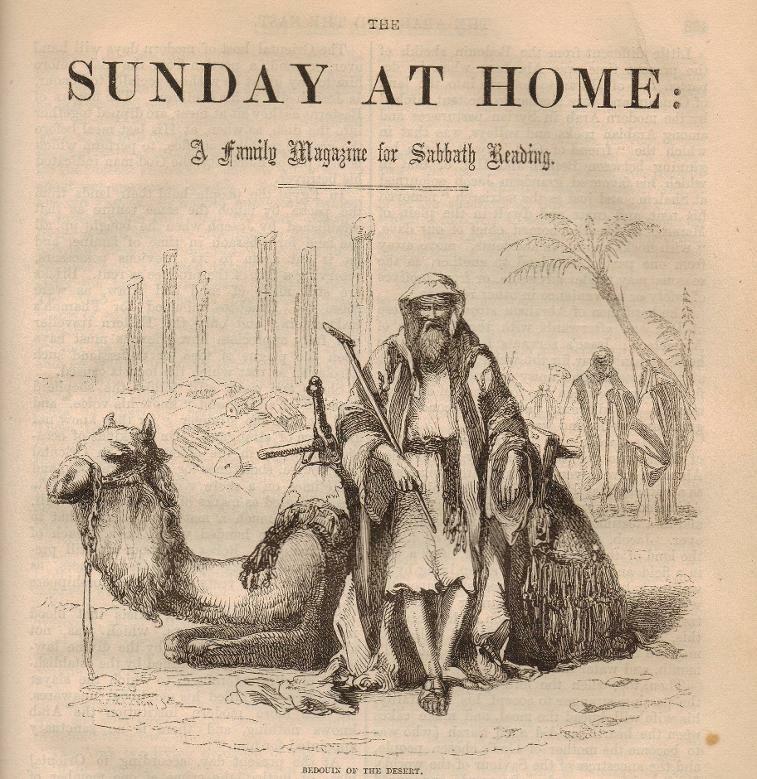 'Bedouin of the Desert' from 'The Arab and the East', Sunday at Home 1861. This must be one of Benwell's earliest depictions of an Arabian Middle-Eastern scene. He must have been inspired to visit the region not long afterwards. In 1864 he produced one of his earliest known painted (watercolour) Middle-Eastern scenes, 'The Meeting Place'. 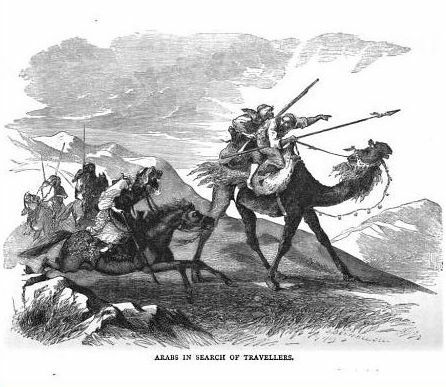 "No stronger instance can be adduced of that permanency of Oriental customs to which reference has been made, than the short stick which the Arab we have engraved carries in his hand, for in the hands of the figures sculptured on the most on the most ancient Egyptian monuments, this stick is held. This stick, which has thus been perpetrated for for nearly four thousand years, upon granite, and basalt, and marble, is identical in form and proportions with that carried by almost every Arab in our days from the Euphrates to the NIle. The sandals, too, have as high an antiquity, and there is every probability that when Joseph guided his wife and the infant Saviour of the world across the shorter desert separating Egypt from the land over which Herod tyrannized, that he met with many a group like that in our engraving, and may himself have carried such a stick, and worn such sandals." 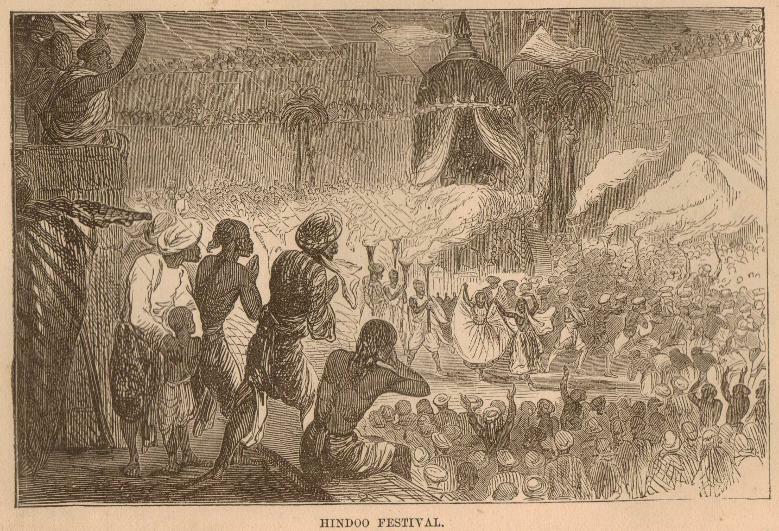 'Hindoo Festival' from 'Grace Ogilvie, the Story of a Child's life in India during the Mutiny' published by the Religious Tract Society 1872. My copy of this little book is inscribed 'Ernest Salter Wills, Nov 1877, given by him to Violet E Wills' (the Bristol Wills tobacco family). He later became Sir Ernest Salter Wills, and she was Dame Violet Wills, founder of charitable trusts. 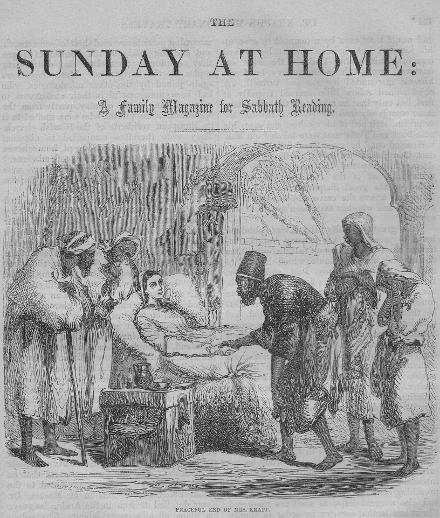 A larger version of this illustration appears in the Sunday at Home, 1857. 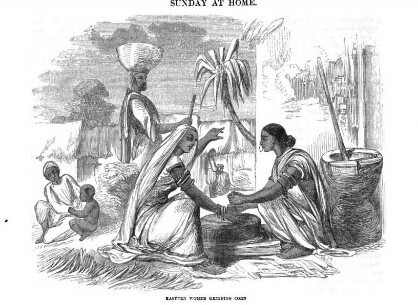 'The Missionaries in the Hall of Audience' Sunday at Home 1862 (from 'The Gospel in Burmah'). American missionaries Dr Adoniram Judson and Mr Colman, 1820. "When Dr Judson was labouring at Rangoon, vexatious opposition was offered by the local authorities. In hope of obtaining the protection of the king, he boldly resolved to proceed to Ava and to seek an audience". ...."He came forward unattended, -in solitary grandeur,- exhibiting the proud gait and majesty of an eastern monarch. His dress was rich but not distinctive; and he carried in his hand the gold-sheathed sword, which seems to have taken the place of the sceptre of ancient times." ....."When he drew near we caught his attention. He stopped, partly turned toward us: 'Who are these? 'The teachers, great king,' I replied. 'What, you speak Burman- the priest that I heard of last night? When did you arrive? Are you teachers of religion? Are you like the Portuguese priest? Are you married? Why do you dress so?" ......"Moung Zah now began to read the petition...." .........."He held the tract long enough to read the first two sentences, which assert that there is one eternal God, who is independent of the incidents of mortality, and that beside him there is no God; and then, with an air of indifference, perhaps disdain, he dashed it down to the ground. ..........'Why do you ask for such permission? have not the Portuguese, the English, the Mussulmans, and people of all other religions, full liberty to practise and worship according to their own customs? 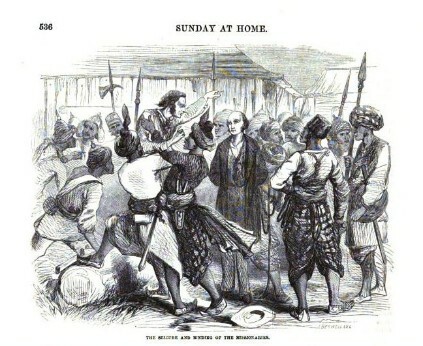 ....."
Also appears as 'Judson before the Burmese Emperor' in 'The Vanguard of the Christian Army' [or, 'Sketches of Missionary Life'] published by the Religious Tract Society, 1882. Ann Judson died on 24 October 1826 at Amherst (now Kyaikkami). 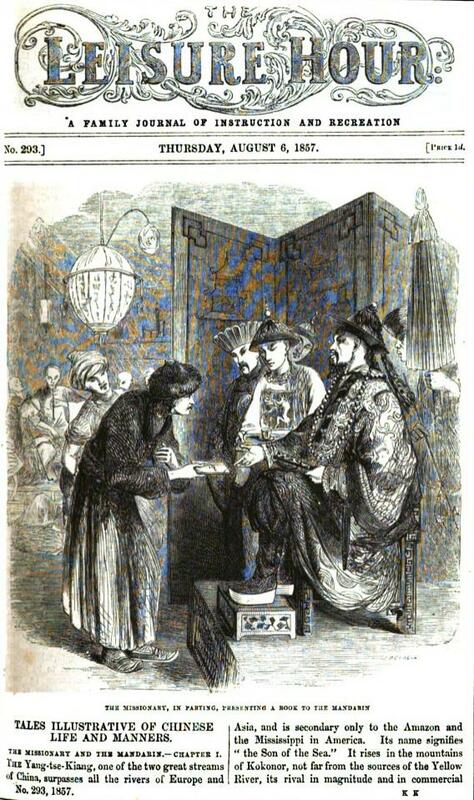 Her husband was away acting as interpreter to the British envoy, who was negotiating a treaty with the emperor. "The doctor is decidedly of opinion that the fatal termination of the fever is not to be ascribed to the localities of the new settlement, but chiefly to the weakness of her constitution, occasioned by the severe privations and long-protracted sufferings she endured at Ava. "On the 26th of April, just six months after the death of Mrs Judson, little Maria was laid at rest beside her mother".